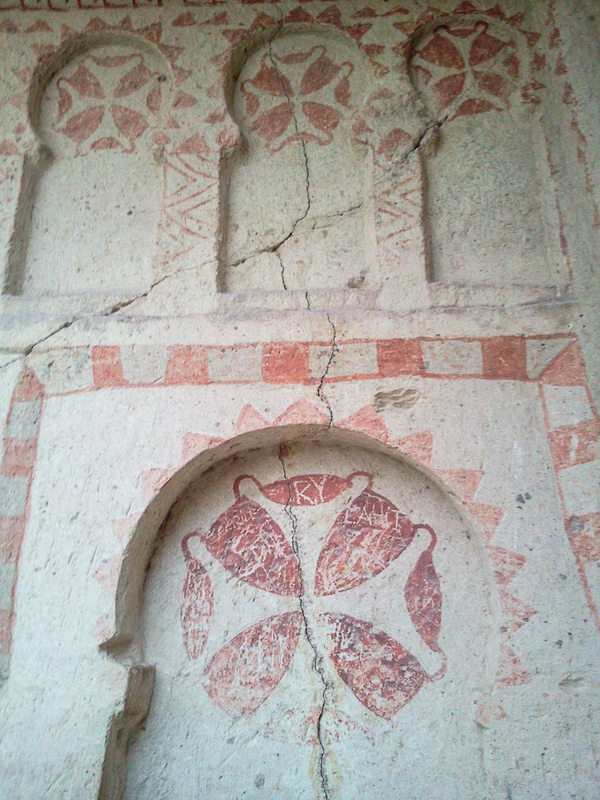 Monasticism continued to develop into the early medieval period. 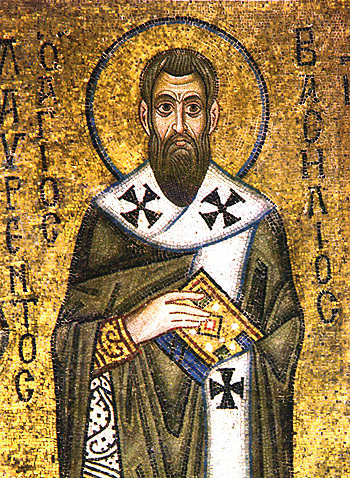 Basil the Great of Cappadocia was not only an influential theologian but also was known for his care for the poor. He established a monastic rule which set forth a communal monastic way of life focused on prayer and work. His legacy extends into the western church through his influence on Saint Benedict. 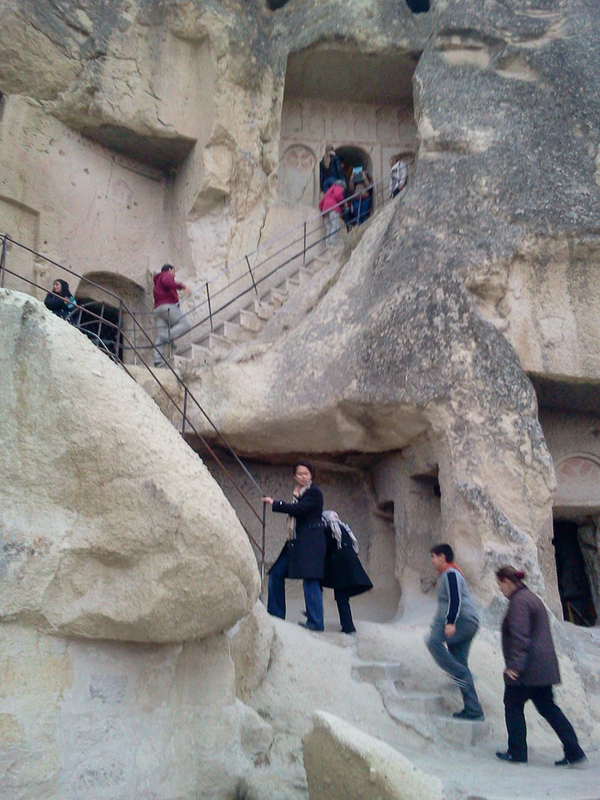 I would like to share some photos I took of ruins of medieval monastic churches and monasteries in Cappadocia. 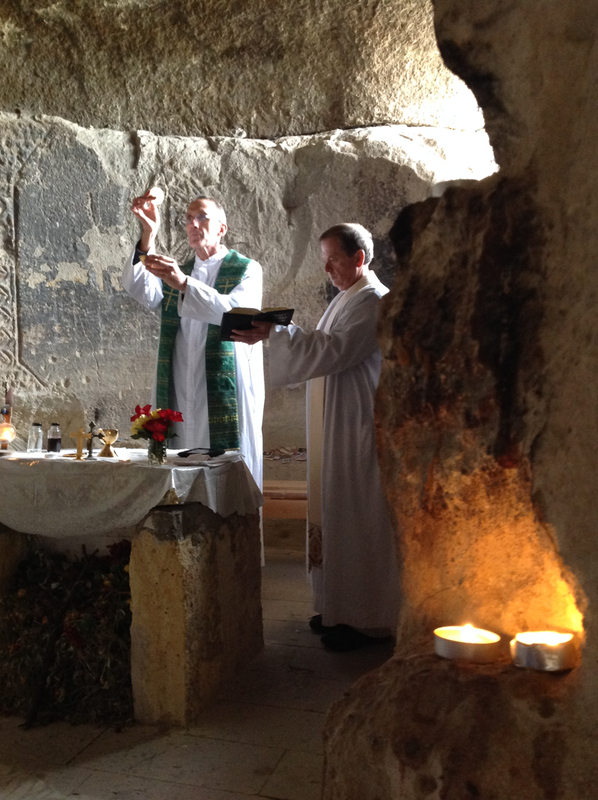 Father Mattingly and I were privileged to be able to say Mass in a chapel from the medieval period. 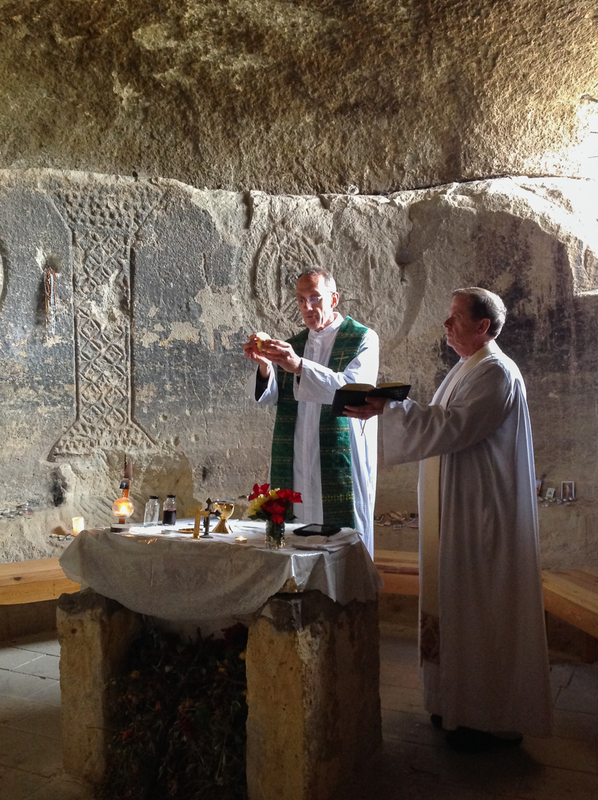 Notice the carvings into the rock on the walls of the church. Photography was forbidden in the churches however please open this folio and be mesmerized by the medieval beauty of the frescoes. 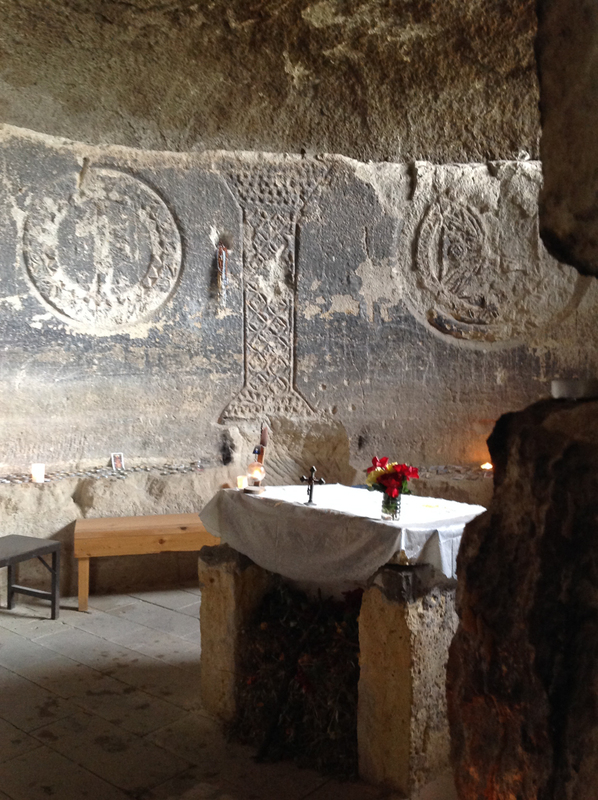 There are more beautiful photographs and descriptions of these churches and frescoes here. 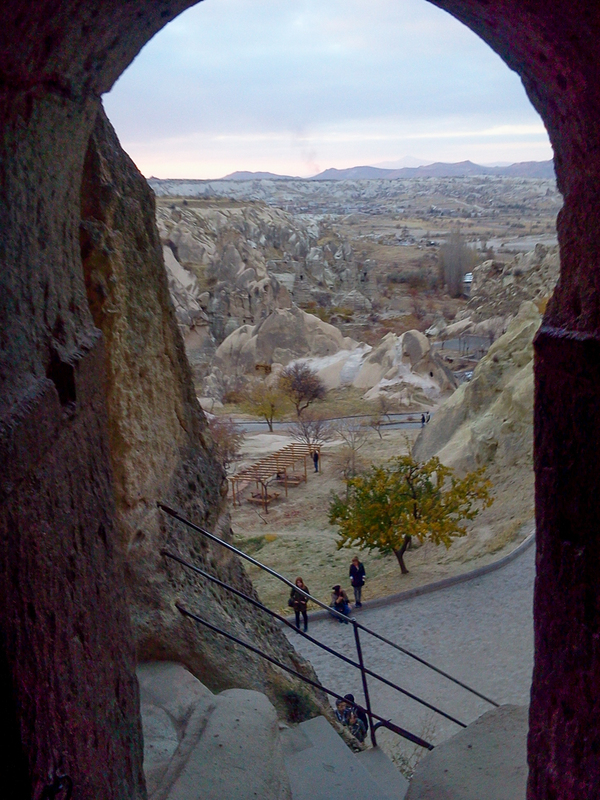 This entry was posted in Christianity and tagged Basil the Great, Cappadocia, cave, chapel, Mass on January 4, 2017 by frjfkauffmann.